Machinability is defined as the ease with which a material can be machined to intended geometry and purpose at a satisfactory cost. The machinability often regarded as the work piece material property, however, the ease of machining also depends on other factors such as rigidity of cutting tool. Good machinability related to removal of material with moderate forces, good surface finish, small chips, and with minimum tool wear. It is difficult to maintain all these objectives at once for a machining operation. For example, the fine-grained material results in good surface finish but have high resistance to machining. So it is always a challenge to engineers to find ways to improve machinability without spoiling the performance. What are the Factors that affect machinability? It is difficult to predict machinability because of various factors affecting machinability. The machinability depends on the following machining process parameters, conditions and physical properties of workpiece. Chemical composition of workpiece such as presence of alloying metal. Rigidity of tool, fixture, and work holding devices. Tool geometry, tool dullness etc. indirectly affects the machinability. Cutting parameters such as feed, speed, cutting force etc. are directly affect machinability. Generally, hardness decreases machinability because of high power consumption, high temperature and high tool wear. The coarse-grained steel shows better machinability than fine grained steel because fine grain will have better strength and hardness. Presence of alloying materials has much greater effect on the machinability than the effect of hardness on machinability. 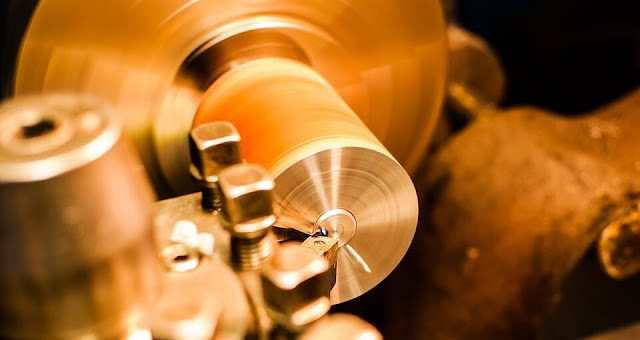 The small amount of alloying metal (less than 0.2%) of Sulphur S and lead Pb can improve machinability without having a noticeable change in mechanical properties. Heat resisting steels and superalloys are generally shown poor machinability. Poor thermal conductivity causes heat build-up at cutting zone, which eventually degrades the tool life. One of the major factor to be considered during machining is the condition of tool. The dull cutting tools drive at too small feed may fail to cut chips and cause work hardening of material surface. High cutting speed can be used. Tool wear rate is very low and good tool life.